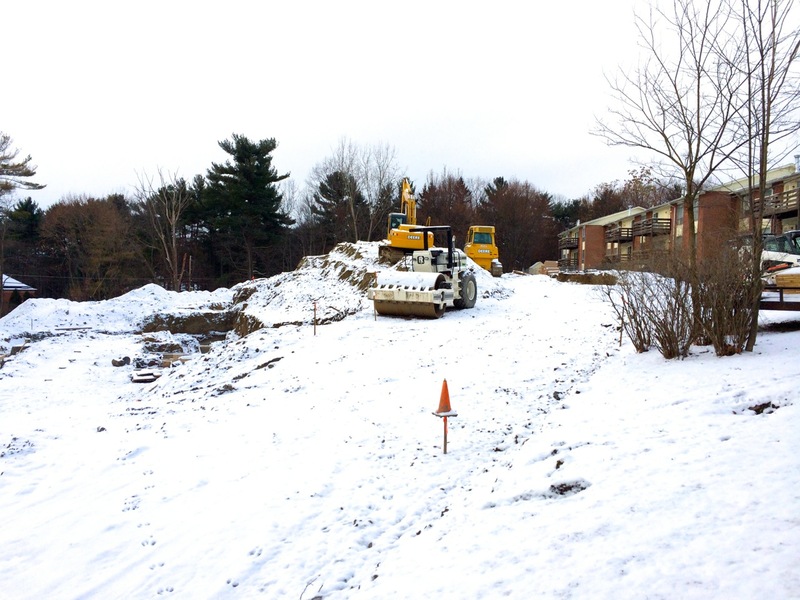 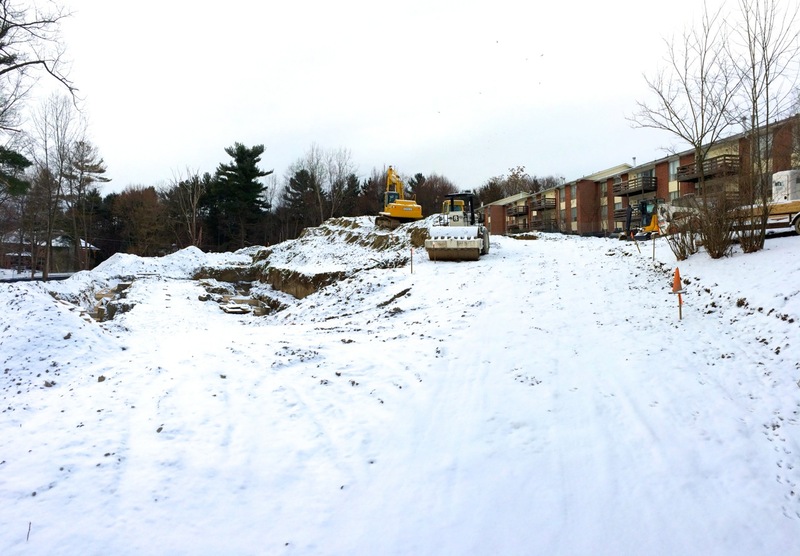 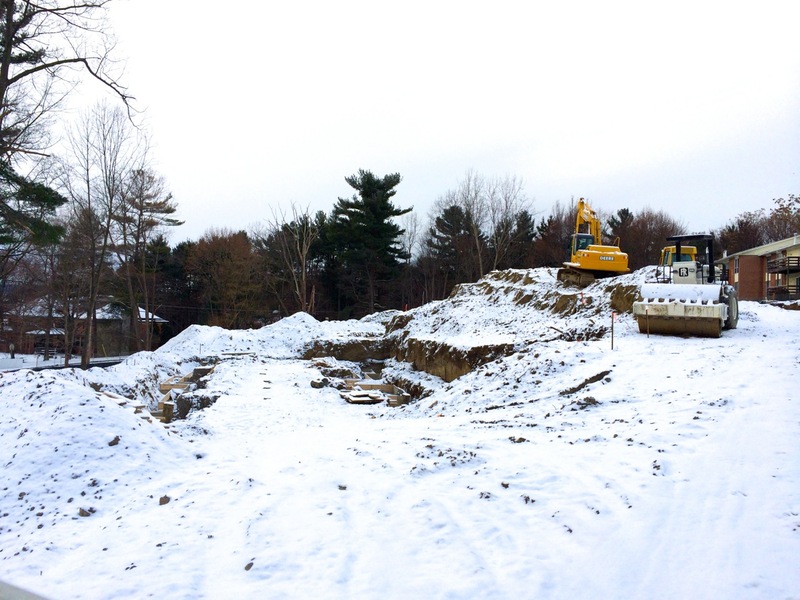 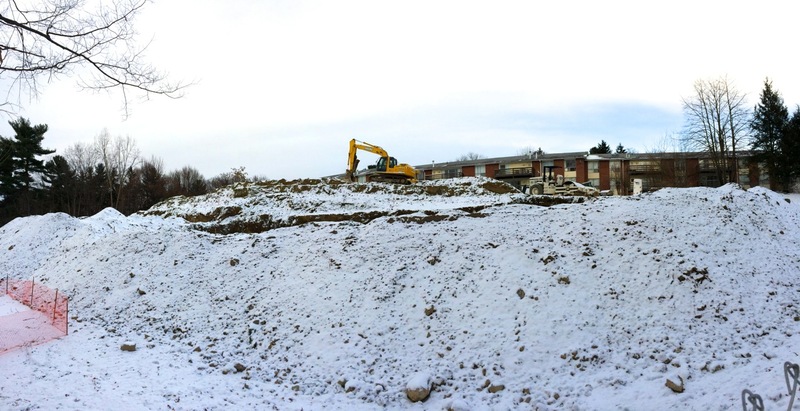 The Thurston Avenue Apartments project’s excavation has been well underway, with earth-movers still on site for more. 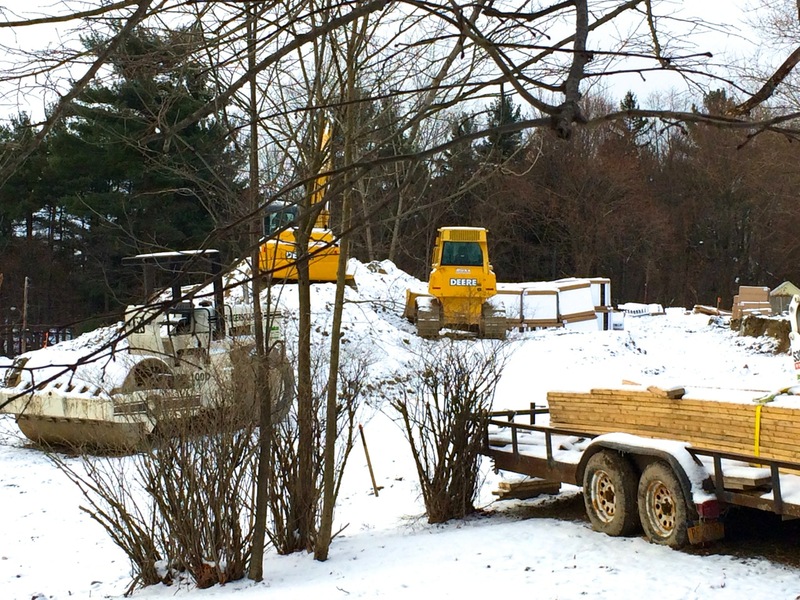 There are several wooden forms for concrete footers down in the pits, and if I’m reading the plans correctly, these are situated for the two future apartment buildings closest to the intersection of Highland and Thurston Ave, or to the left of the future drive entry. 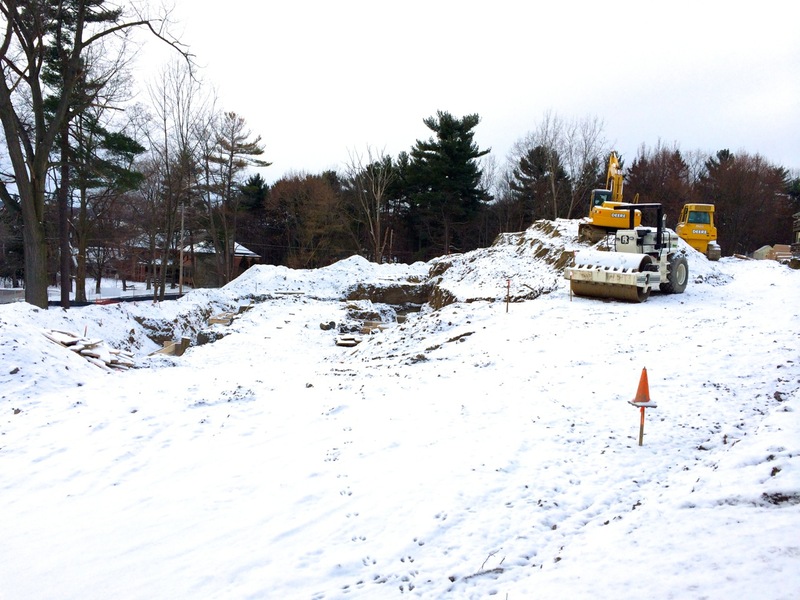 The site had quite a steep grade to start, and lots of trees, which have been cleared since late Fall.